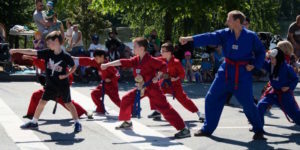 The study of the martial arts in Coquitlam is one of the few activities that focuses the energy of the mind and body. At the Yuen’s Family Martial Art, on Austin, in Coquitlam, we bring these energies together. Whether you’re interested in tae kwon do, karate, jiu jitsu, kung-fu or basic self defence, our 30 year history of providing only the best martial arts curriculum by professionally trained and highly qualified black belt staff create the ultimate martial arts learning experience for all of our students. 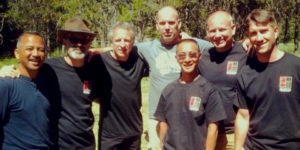 Yuen’s Martial Arts enables individuals to focus and concentrate on achieving worthwhile goals, enhancing their ability to meet life’s challenges with complete confidence and perseverance. Our Coquitlam martial arts school integrates a variety of martial arts including tae kwon do, Brazilian jiu-jitsu and other self-defence systems for children, teens, adults and families. Yuen’s Martial Arts is the leading Kid’s Martial Arts and Family Martial Arts school in the Tri-Cities. Our two locations, with schools in Coquitlam and Port Coquitlam integrate a variety of martial arts including Tae Kwon Do, Brazilian Jiu-Jitsu and other self-defence systems for children, teens, adults and families. We’ve been part of your community for over 30 years. Martial Arts for children is safe, fun and enjoyable. Yuen’s Coquitlam helps to increase your child’s respect, discipline, self-confidence and ability to protect themselves if required. Quality time for families is at a premium and our family based classes ensure that you get to work together on setting goals, working together and achieving the things that you set your mind and efforts on. Our Teen martial arts classes are a fantastic way to help your teen build confidence, manage their personal growth and expand planning, goal setting and working towards accomplishing what they set out to do. Yuen’s adult classes offer multiple options for getting in shape, losing weight, increasing endurance and learning a variety of martial arts and self-defence skills. It’s never too late to learn new skills and meet new people. At 35 years old I never intended to get my black belt but 3 years and a lot of sweat and effort later I achieved the seemingly impossible. What a fantastic 13 year experience for our family; son has his 3rd degree, daughter testing for her 2nd and teaching, Mom has her blackbelt and Dad is a conditional blackbelt. Great place for fun, family and fitness. Excellent instructors and students. There is something for everyone. My kids loved classes from day one. Mr. Kevin's way of leading, instructing, and teaching is the reason they have never wanted to leave. He teaches taekwondo but also a way of living life empowered, respectful, and proud of who they are. I cannot imagine life without the Yuen's organization in it. Book your Private Introductory Lesson Now.